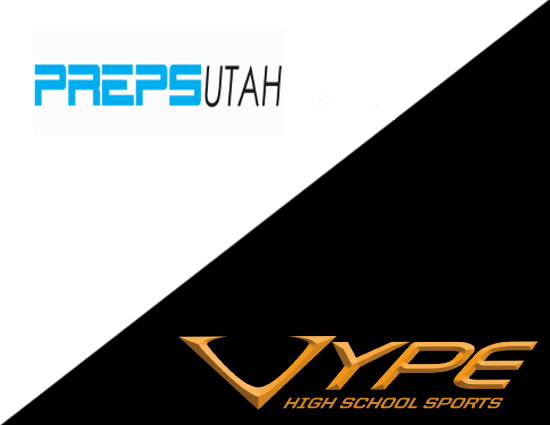 Vype Sports Network (VSN) today announced that PrepsUtah.com has been added to its growing network of high school sports websites. PrepsUtah.com coverage of high school athletics from the growing varsity ranks will immediately expand the reach of VSN into an underserved area of the country. After nearly five years operating as an independent entity the site will move onto the Vype Sports Network as well as co-brand its print magazines under the VSN umbrella. Founder and operator Kurt Johnson said that giving athletes and teams in Utah a larger platform was paramount in his decision to join the network. VSN will rely on Johnson and his team group for individual school coverage and event recaps as well as overall exposure for players within the Salt Lake City and beyond. Johnson has built a collective of student journalists that will also benefit from bylines being pushed onto a national page. It was a fringe benefit of the network that was invaluable to Johnson. This is the second westward expansion for VSN as PrepsUtah and NorthwestPrepReport.com have been added in recent months. Network co-owner Derek Dusek said moving towards the Pacific has been a focal point for his team and the addition of PrepsUtah shows the commitment to grow from the midwest roots of the company. “Adding Preps Utah Magazine and PrepsUtah.com adds another strong presence West of the Rocky Mountains,” Dusek said. “The steady growth in participation numbers as well as the results on the competitive landscape made Utah a target state for us and I don’t think we could have found a better partner than Kurt. VSN and its assets were purchased in late-2014 by Fieldhouse Media Group, and the acquisition of PrepsUtah.com was the next step in the development of the brand. Currently the VSN network operates websites out of Dallas-Fort Worth, Houston, Southeast Texas, Oklahoma, Kansas, Central Indiana, the Pacific Northwest as well as its national offerings of Vype.com and NationalHSFootball.com — three of properties also offer print publications dating back nearly 10 years. VSN is being developed as a network of publishers, reporters, writers, special contributors and affiliates being committed to capturing the high school sports experience in its purest form through in-depth coverage and real-time content; featuring authentic local views in communities large and small across the country. The vision is not limited to the big-three sports but celebrating the accomplishments of all athletes. Based in Houston, Texas, VYPE High School Sports is a multimedia sports brand dedicated to publishing created and curated programming across content ecosystems and technologies. Publisher of the nation’s largest & most successful high school sports magazines and fastest growing high school sports news websites, VYPE celebrates student-athletes accomplishments while providing valuable resource information for families. PrepsUtah.com is an independent digital sports media company operated by Kurt Johnson. It primarily focused on high school athletes, teams, rankings, and trends within the state of Utah. Through storytelling and partnerships with local news outlets and journalism departments, PrepsUtah.com has become a leader in the growing high school sports category in its region of the country.